I’m so glad you got to enjoy this part of New Zealand! This is where I grew up so it’s very much part of my childhood memories. 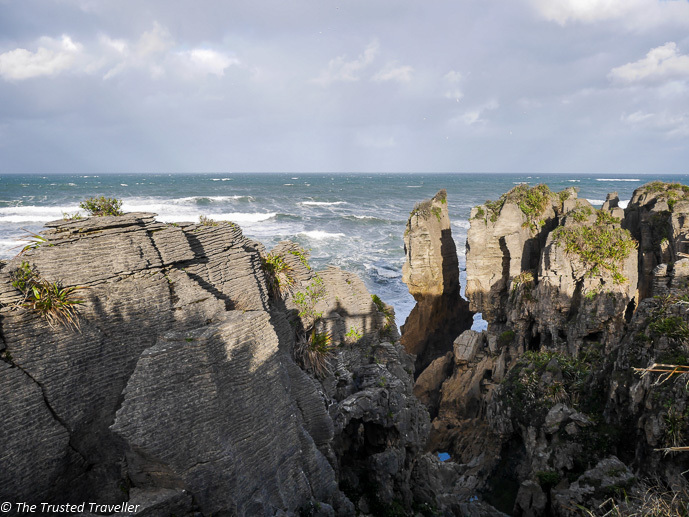 I love Punakaiki in particular. What a beautiful area to grow up in. 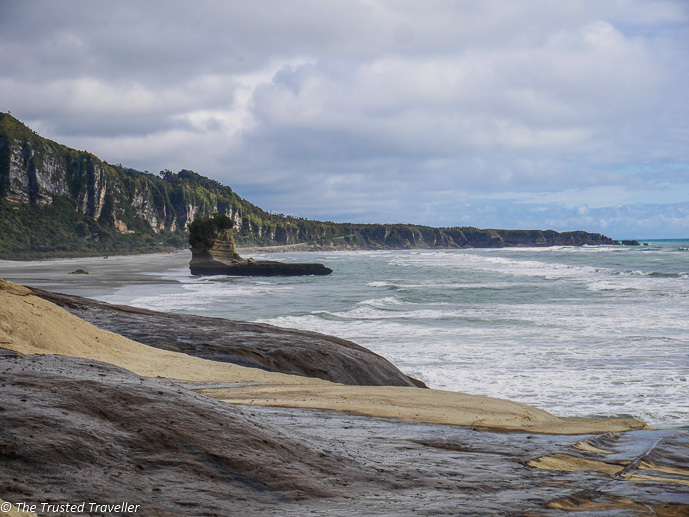 Punakaiki was wonderful and it felt so wild and isolated. I loved being there. Gosh I forget how beautiful New Zealand is! We haven’t made it past family in Auckland for years but we really must get back to the South Island. 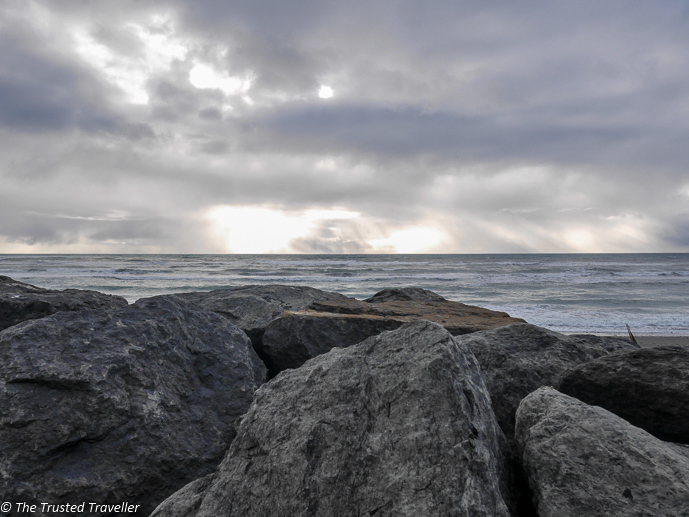 Your photos are stunning, what month did you travel in? Thanks Toni! We were there in October and while the weather was getting a little cold (well colder than I am use to anyway) it was beautiful blue skies for most of our time there with a few rainy days. This is a valuable narrative with the attention to detail you’ve given to where to stop, etc. It’s hard sometimes to know ahead of time what can be skipped and what you should see. 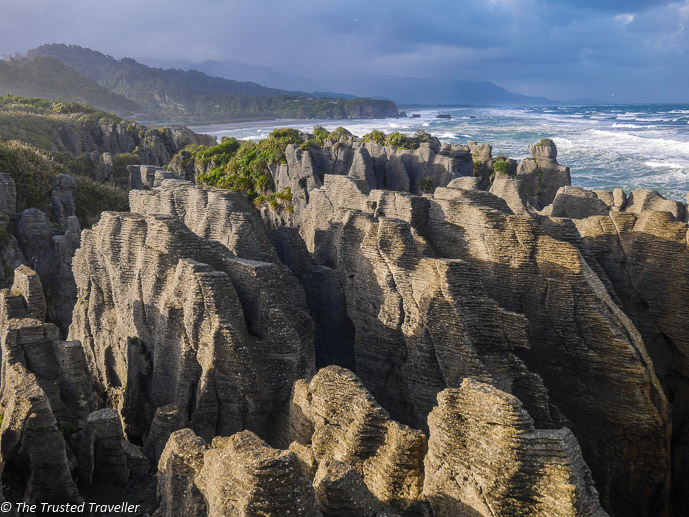 I’m most taken by the Pancake Rocks and the rugged scenery. This looks like a lovely road trip. Thanks for your kind words Betsy. 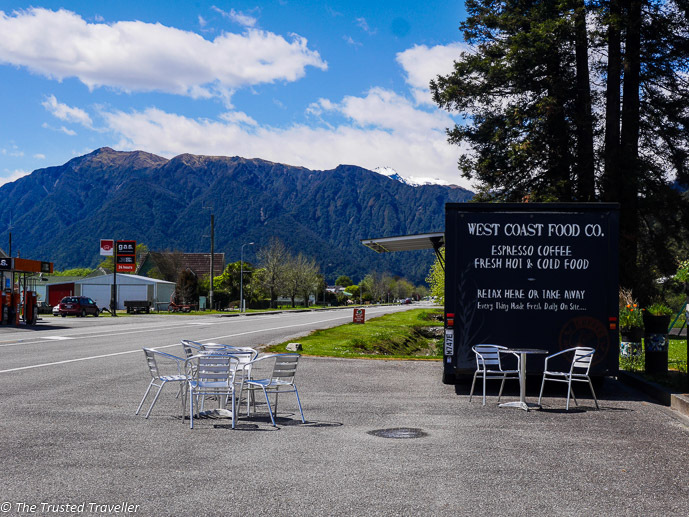 Great post, I did a road trip of the south island but missed some of these stops. Nelson is such a lovely city and a great place to do a skydive. Abel tasman is a must for hikers, and if you go to pancake rocks ignore the warning signs and hop over the railings for a better view! Definitely with more time we would have loved to visit Abel Tasman. I’ll be back though……..
What an amazing country with so many highlights! This looks like an incredible road trip! 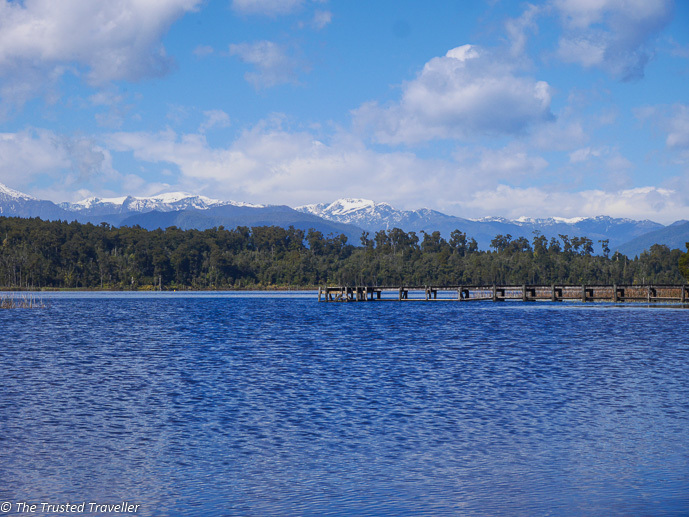 I was fortunate to be able to visit NZ earlier this year and spent some time in Nelson. It’s an awesome city exactly as you described. I’m already looking forward to a future visit someday, I’d love to follow your itinerary. Thanks Heather. I’m glad you enjoyed your visit. 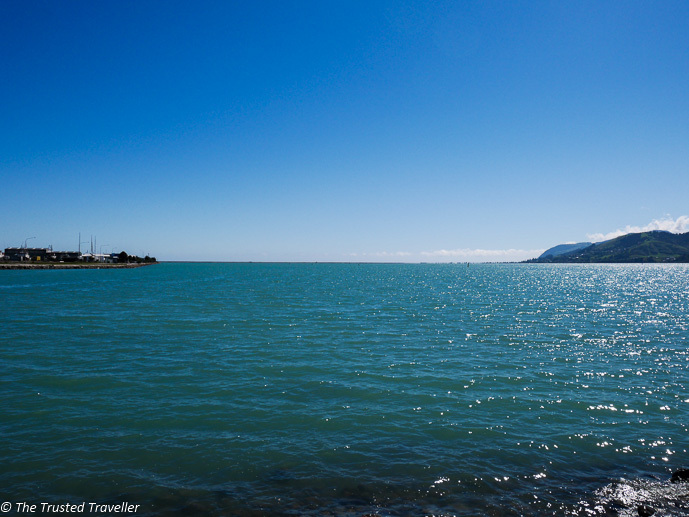 I think Nelson is a city that is underrated and should be on more people’s itineraries. Thanks Claudia. They are very famous for the cool climate Savignon Blanc and Pinot Noir wines. Hope you get to visit NZ someday soon! New Zealand is so beautiful and I’m looking forward to going there soon. I can’t think of a better way to really see the country and all it has to offer, smart choice. I’m a huge advocate for walking, driving or taking the train instead of flying so you don’t miss those great places in between. I’m going to bookmark this so I can check out your route on my trip! Me too! I’d hate missing out on anything when I’m travelling. A NZ road trip. This was my dream since I was a little kid…thank you for this article and for beautful images. Nature there is incredible. I love Punakaiki the most. Thanks Zof! I hope you get to live out your dream someday soon. Thanks for this! I love that you included an embedded Google map – we’ve just arrived in Australia and will be setting up a home base here for the forseeable future. After 4 years of traveling we’re looking forward to settling down…though not too much that we won’t be traveling any more. Really looking forward to traveling throughout the country, and would you believe, right now it’s actually cheaper to get flights to NZ than it is the other side of AUs!! So we’re going to be planning a roadtrip – this came at the perfect time!! Thanks!! I know the flights are ridiculous! That’s why we have been to NZ so many times and still haven’t seen any of the Western part of Australia. All the best with settling back into Australia Meg. Wow New Zealand is beautiful! 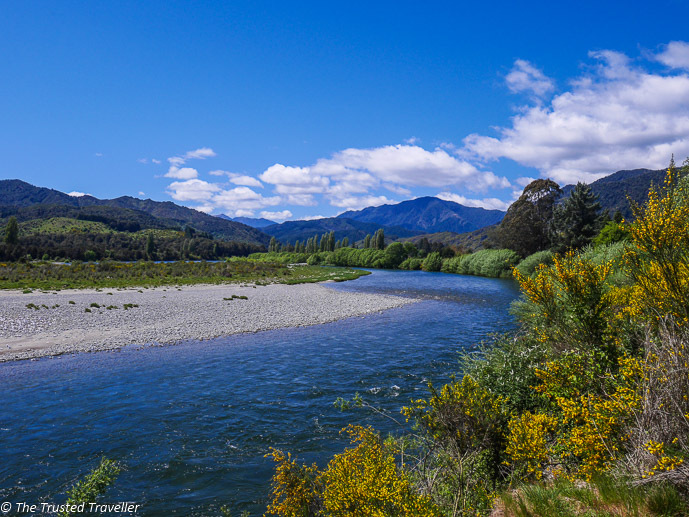 I’ve heard so many people say that they best way to see NZ is by road tripping – and I think the one you did is one of the best – stunning! Oh this brought back some memories! 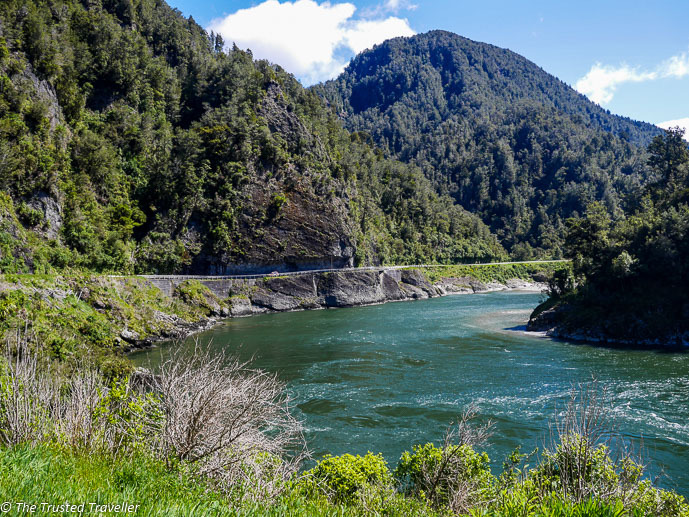 I did the Nelson-Franz Josef trip in one day on a Greyhound bus, but we fell on an amazing driver who fancied himself a bit of a tour guide and made a lot of stops to show us the sights along the way… a lovely and unexpected extra! Your photos capture mood and atmosphere brilliantly btw. What a great trip that sounded like Camille. You were so lucky to have a great driver. I’ve heard such wonderful things about it. I’ll be in the area in March and am trying to get up there but not sure I’ll be able to. Hi we are driving through North and South Island NZ in April so weather conditions should be good. 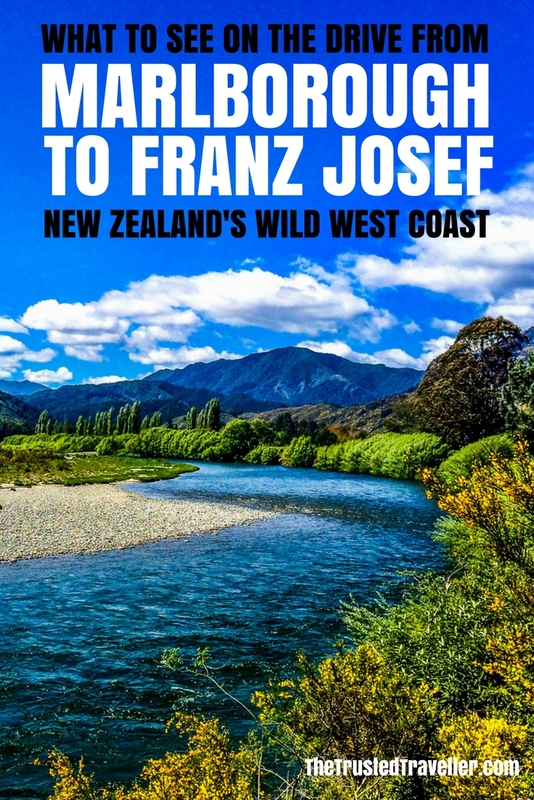 Seeing we will go all the way from Auckland to Queens town and back to Auckland do you suggest we take the West coast going and east coast on our return. Ot sure if anyone has been on the east coast to tell me what to see there. Yes that sounds like a good plan to me. 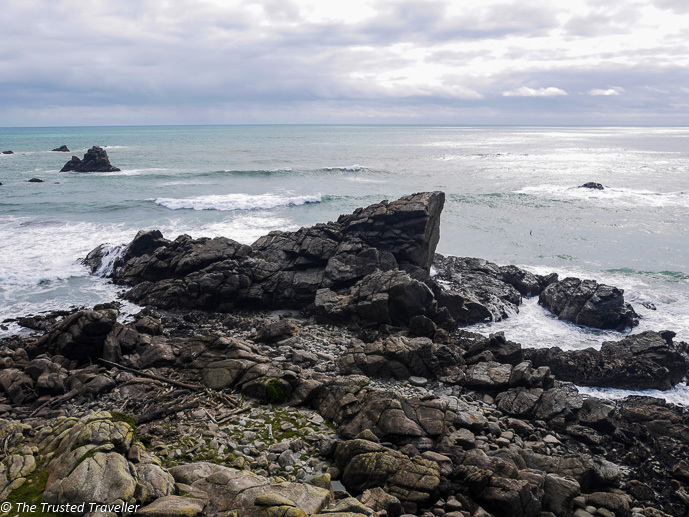 We have driven around the whole of the south island and definitely recommend the east coast. You can check out all our posts about New Zealand here https://thetrustedtraveller.com/travel-guides/new-zealand-travel-guide/ Let me know if you have any questions. 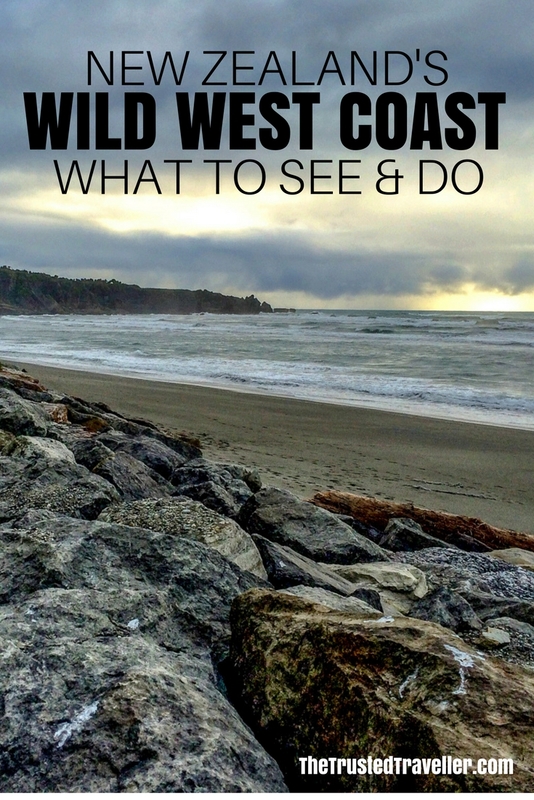 Thanks for the great itinerary and pics – very useful! 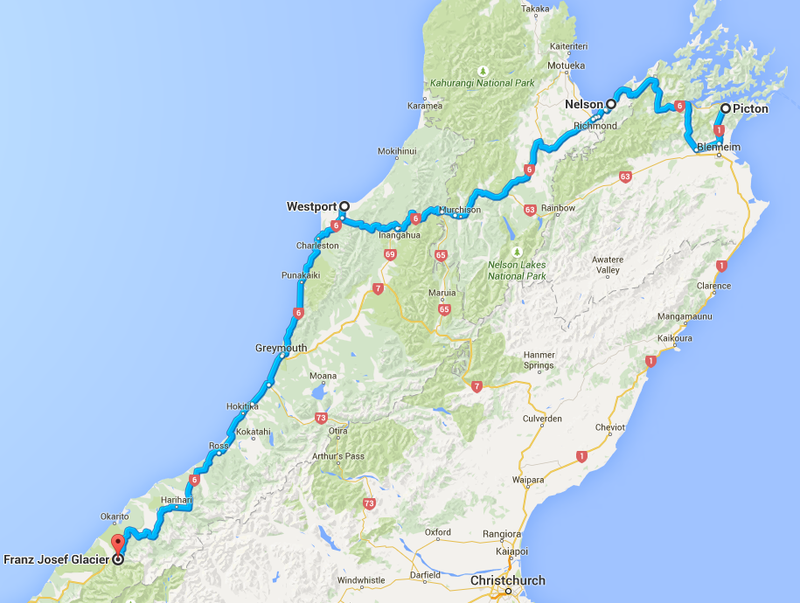 My wife and I have a very tight schedule- would you recommend this route over the southern highway through Christchurch, Lake Tekapo etc.? So many interesting places, it’s hard to choose what to leave out. How long do you have? I guess it would depend on what you would prefer to see. 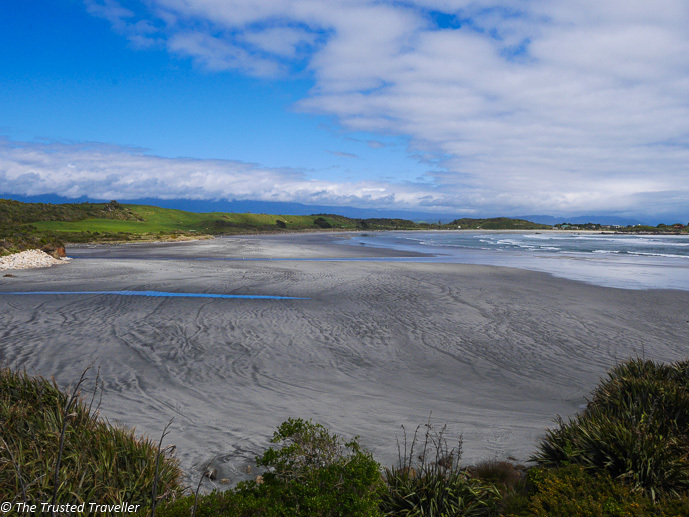 Lake Tekapo is stunning and while I loved it, I also loved the southern route through the Catlins. If you love beaches and rainforest over lakes then go south. Otherwise the route through Tekapo is amazing too.